Slovakian citizens must resist the ideology of fascism. They should vote against right-wing radical parties in the upcoming local elections. 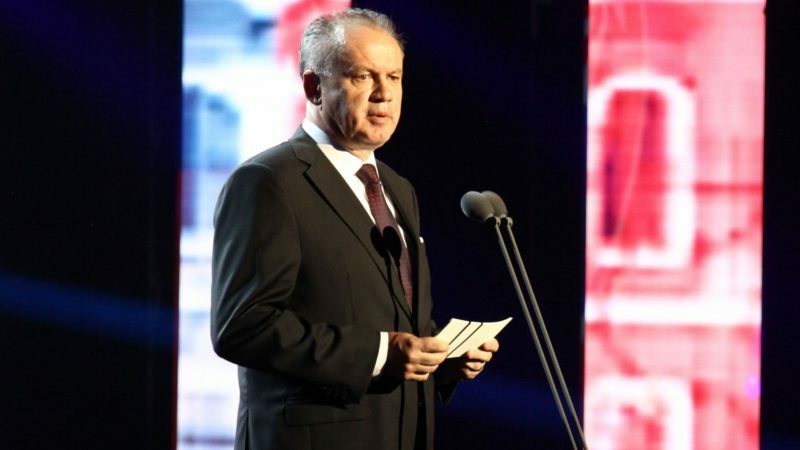 On August 29, Andrej Kiska, President of Slovakia, made that clear in his speech during the ceremony commemorating the 73rd anniversary of the Slovak National Uprising (SNP) during World War II, RIA Novosti News Agency reports. The President of Slovakia believes that every sane Slovak should realize with pain that the far-right People’s Party Our Slovakia already has representatives in the country’s parliament. According to the President, Marian Kotleba, the leader of the party, is “a fascist”. “Nowadays, we do not have to confront the enemy with a weapon in our hands, like 73 years ago. But only debating the reason why the party, whose leader considers the Slovak National Uprising the blackest day in the history of the country, is not enough. As true citizens, we will go to the polling stations in November and vote for a non-fascist candidate. We will say ‘No!’ to fascists. There are more of us, and we can overcome them and win,” said the president. The right-wing People’s Party Our Slovakia openly expresses its respect and loyalty to the fascists who were in power in Slovakia during World War II. In 2016, during the parliamentary elections in Slovakia, the People’s Party Our Slovakia won eight percent of the vote, enough to enter the parliament. Protest rallies under the slogan “Stop Fascism” took place in many cities of Slovakia. More than three thousand people across the country took part in anti-fascist protest actions. This entry was posted in News from the West, Revival of fascism and tagged Political War, Revival of Fascism, Slovakia. Bookmark the permalink.